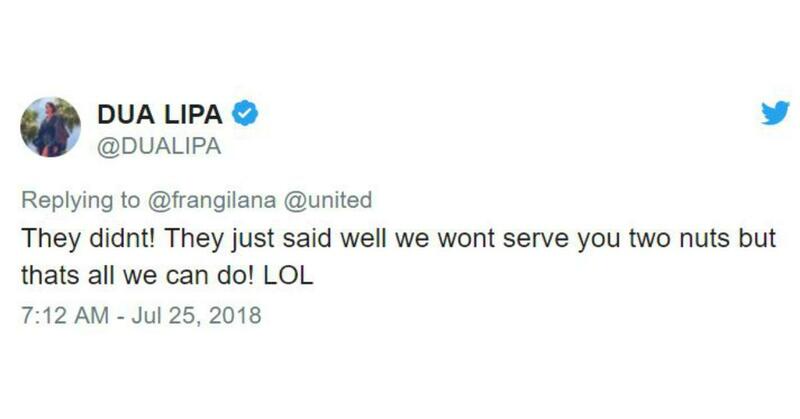 Dua Lipa, the pop star responsible for bangers like "New Rules" and "One Kiss," is angry with United Airlines. 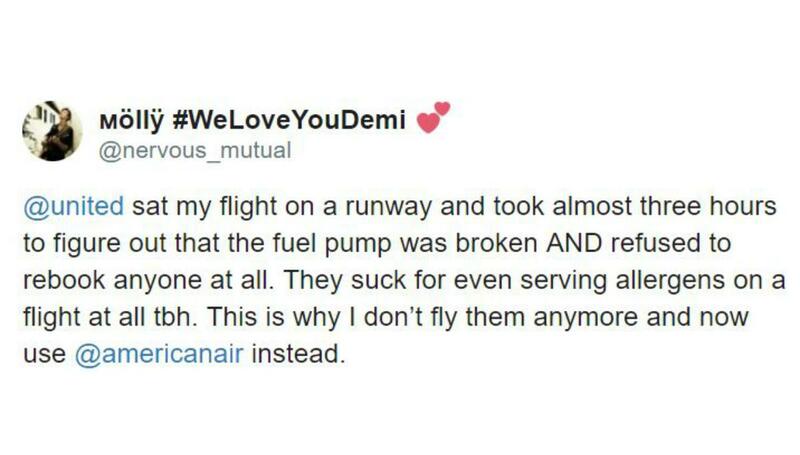 No, it's not like they dragged her off of a flight like they did to that one doctor, or offered money to a disrespectful passenger, basically rewarding them for being a jerk. 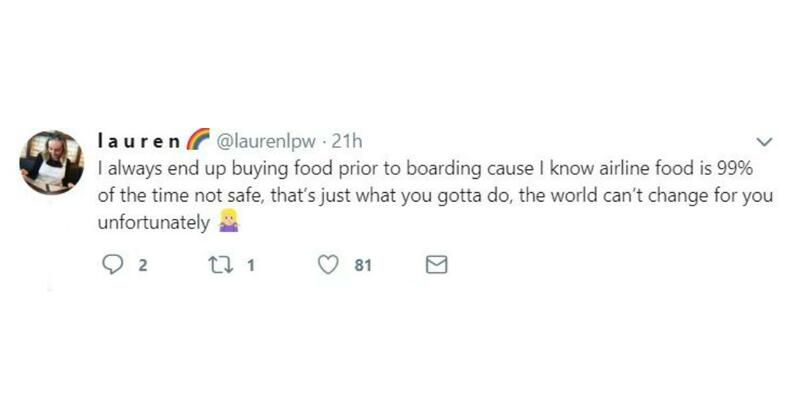 No, United also didn't kill one of Dua's pets, or force a toddler to sit on her lap even though she paid $1,000 for a separate ticket. 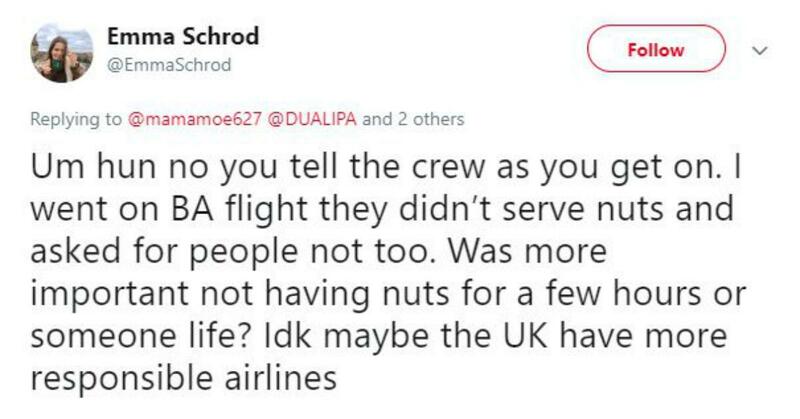 According to Dua, what the airline did do was have a "kinda mental" response to her sister's nut allergy. It all started when she told the stewardess about her sister's condition. 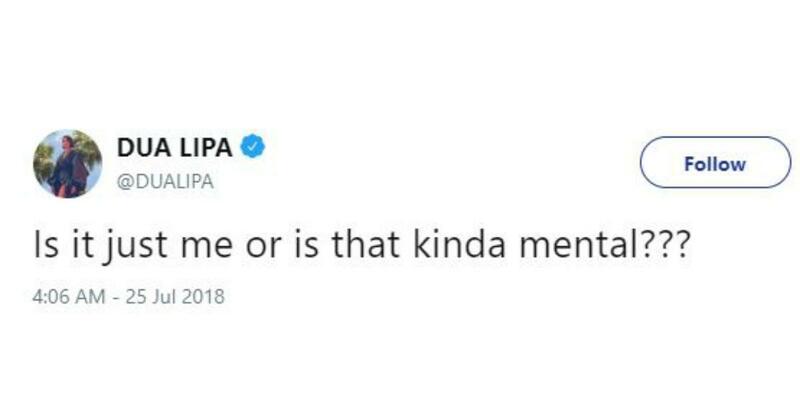 Dua couldn't believe that their response was, "Oh we have epi pens on board," or that the flight crew wouldn't consider not serving nuts to the other passengers on board. 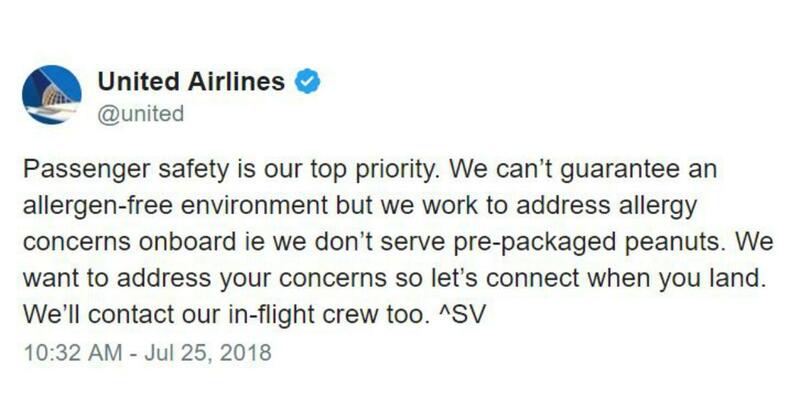 Some people just threw their hands up and were like, "Well, that's United." 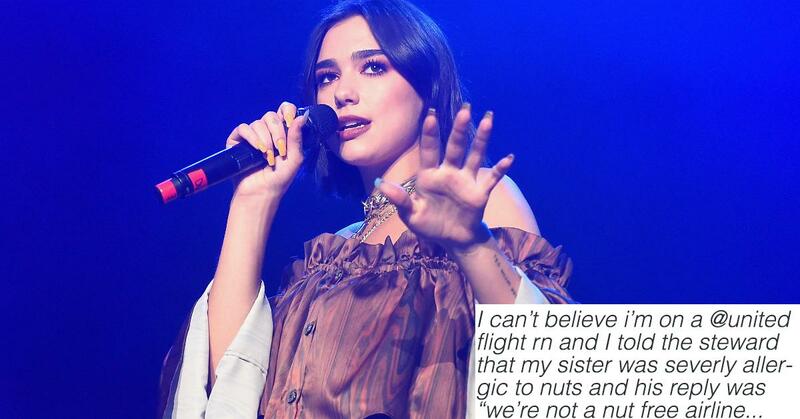 One of Dua Lipa's followers asked the pop star if the flight crew made any announcements regarding her sister's allergy, to which Dua replied that they did not. 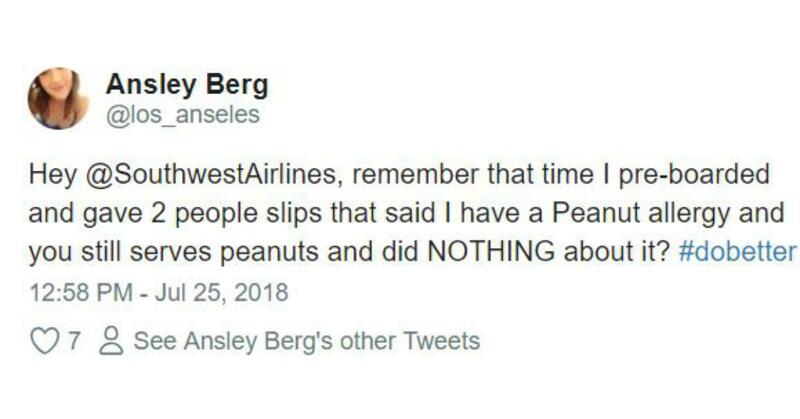 The only accommodations that they could make was refrain from serving nuts to her and her sister, but they'd still serve the salty legumes to the surrounding passengers. 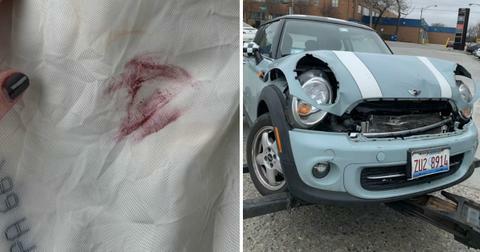 People began responding to Dua's stories with airline nut allergy escapades of their own. 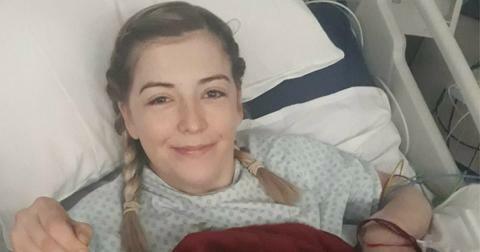 Surprise surprise, other horror stories people have had with United popped up in response to Dua's tweet as well. 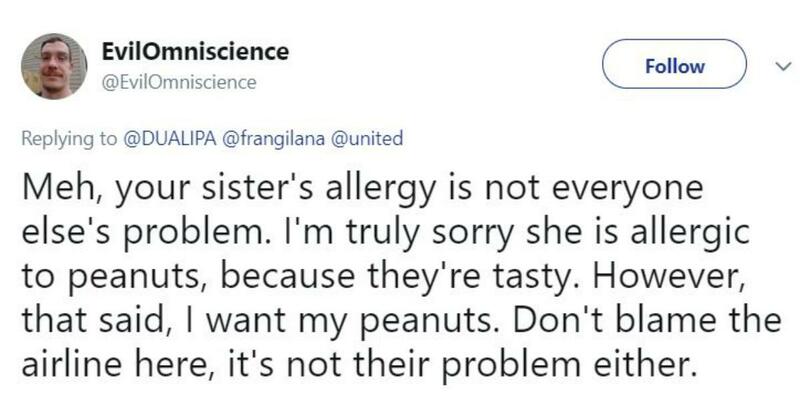 However, the thread quickly turned into a discussion as to whether or not Dua's sister and other individuals with nut allergies are asking for too much by wanting airlines to restrict nut products especially for them. 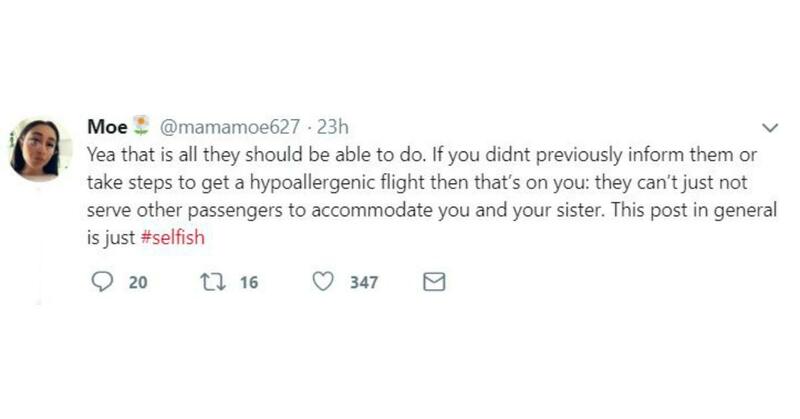 Some people want their peanuts at any cost, and others think that Dua and her sister were at fault for not contacting the airline beforehand to let them know of her sister's allergy, even going so far as to call the singer's post "selfish". 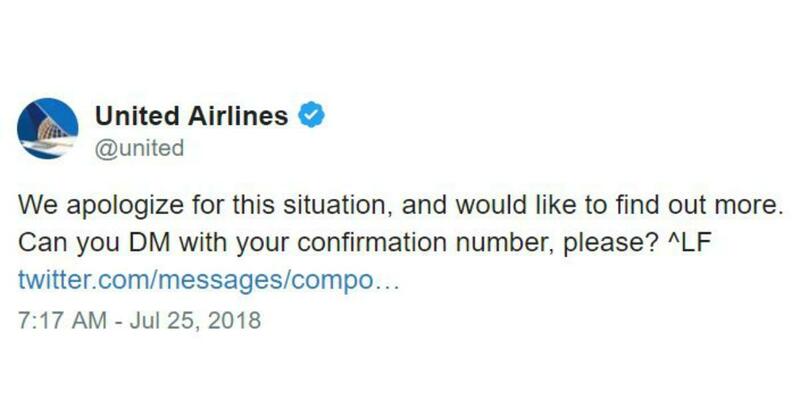 While there were others who refuted that claim and said that typically, passengers just need to inform the airplane staff of their condition as they're boarding. 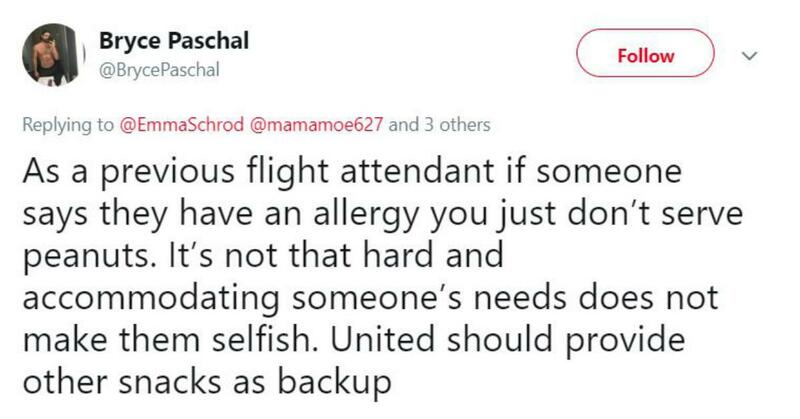 A former flight attendant in the convo said that most airlines carry backup snacks and it's not that big of a deal to refrain from serving nuts on board in the event there's someone on the flight with a severe nut allergy. 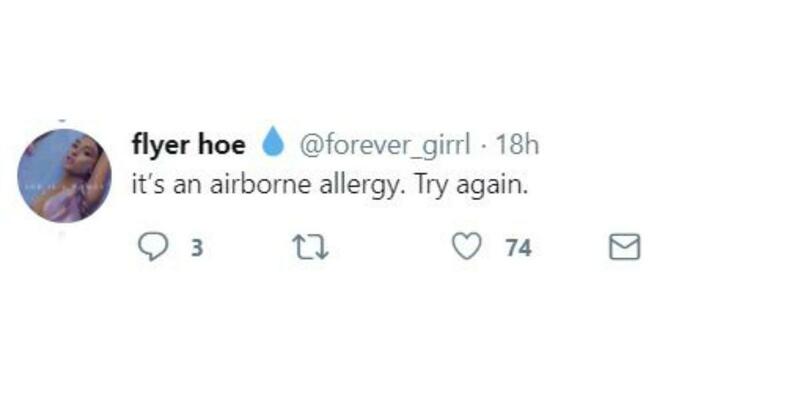 Although there are some passengers with nut allergies who simply "bring their own snacks" onto the flight, it doesn't really solve the issue. United Airlines responded to Dua's tweet and asked the singer to DM them her additional info in a private message. 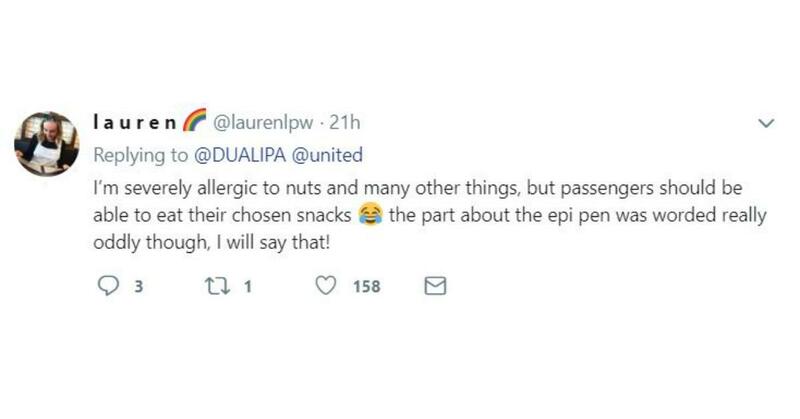 Dua hasn't responded to United's follow-up, but there are plenty of other airlines that offer nut-free flights and will make accommodations for those with allergies. 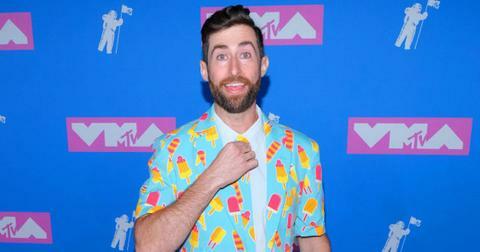 So if United won't make their airline a nut-free one, then Dua and her sister can try some others in the future.